Moisture measurement is critical at all points of natural gas processing, such as point of extraction, the drying process, distribution lines, and point of use. MEECO moisture analyzers offer accurate and reliable testing for natural gas applications, whether used on land, on ocean platforms or even in turbine electricity generation plants. 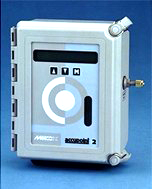 The Accupoint 2 is a micro-processor based moisture transmitter with a built-in dual-stage pressure regulator and an operating pressure range of 50-3000 psig. It’s ideally suited for most industrial, natural, and process gas streams. 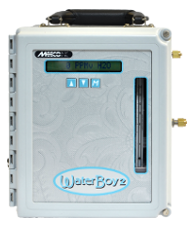 The WaterBoy 2 offers a cost effective “on-the-go” solution for reliable, portable moisture analysis. Its modular design and sturdy construction is ideal for natural gas field conditions. It comes equipped with an internal rechargeable battery, in addition to a 120 Vac transformer or a 100-240 Vac universal transformer. The WaterBoy LP2 is available for sample gas inlet pressures below 100 psig.